The Global Experience is a non-profit organization and international youth media network dedicated to increase the intercultural dialogue. The Global Experience acts globally by giving people a platform for intercultural exchange and locally by initiating and supporting educational multimedia projects, youth exchange programs, video productions and media camps all over the world. The organization consists of 2-3 full-time employees, about 30-40 volunteers and members in Germany and about 6000 worldwide online members who engage in the intercultural online dialogue. Global Experience have its own Youtube channel that is followed by more than 300 000 young people all over the world. The Global Experience started in 2005 as a school project in Münster, Germany, in order to create an online dialogue between exchange students of Schiller Gymnasium, Münster, and partner schools in Namibia and Poland. Through the publication of project videos on Youtube, the project quickly became known worldwide and developed to become an international learning platform, branching out to many more than just the three original countries. As of 2007 members have been meeting in person during youth camps, school exchanges and internship programs that were created. The Global Experience is proud to have over 10,000 members online. Since 2007 over 500 young people from 24 nations have gone abroad to gain a unique intercultural experience. The Global Experience aims to contribute to a better global education by building cross cultural bridges among young people of the world and improving children’s and young people’s access to education. 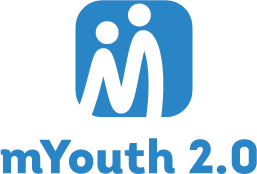 The role of The Global Experience in the MYouth 2.0 project is to attend all events foreseen in the project to make media documentation, particularly through short video documentation of all major events including statement, interviews and short video stories. Their role in this project is to increase the visibility of the project through multimedia products and using the social media channels for promotion. Their expertise in video making and promotion is one of the most valuable inputs.